Now you can use the TD-1 tape applying head without expensive controll unit. You can set the start position of the taple laying with the first optosensor, the end position of the tape application with the second sensor. 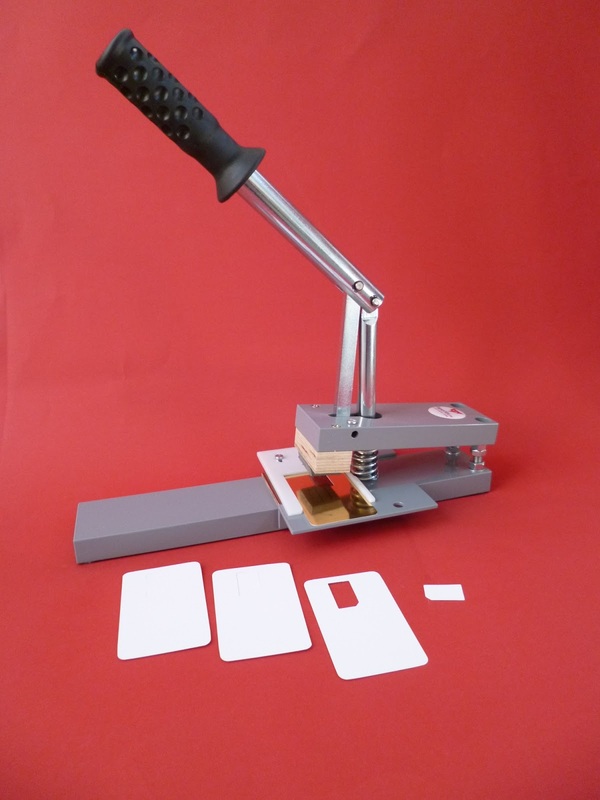 The paperfox TD-1 tape applicator head was designed for usage in Paperfox HH-1 return receipt making machine but a lot of our customers want to use it in other tape application systems. So we have manufactured some extra accessories to make this device easyer to applicate. In the HH-1 we applied only one optosensor so the mounting bracket was only for holding one optosensor. 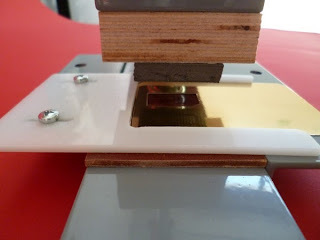 In other tape applicating systems the tape not allways applicated in full length of the paper, so often needed two optosensor to controll the start and end position of the tape applying. Now we created a rail with sliding brackets. So you can now set easily the position of the adhesive tape. 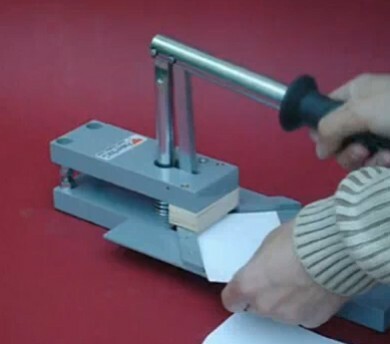 With our new creasing machine prototype you can crease even thick cardboards. We do our best to make this creasing machine available for our customers soon. 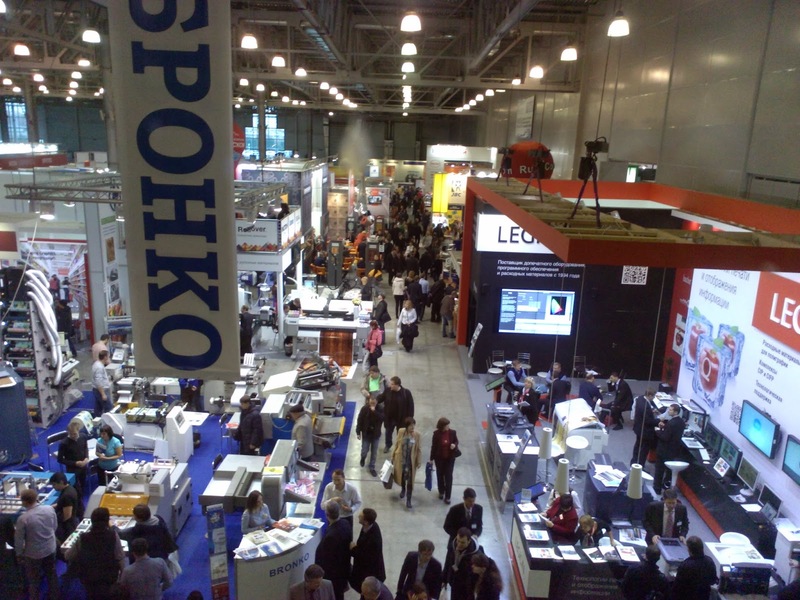 Polygraphinter is the only exhibition in Russia which features equipment, materials and technologies required for printing labels and packaging and Paperfox was the only Hungarian exhibitor in this fair. It was great to exhibit in this fair. 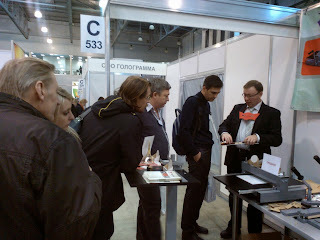 We have a lot of entusiastic visitor at the Paperfox booth. 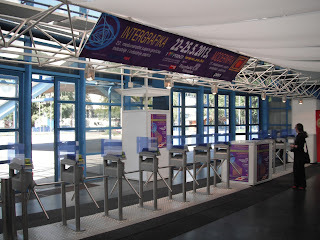 As a visitor I didn't find this fair so useful. I could see the same products in this fair as in the other trade fairs, only the exhobitors were different. 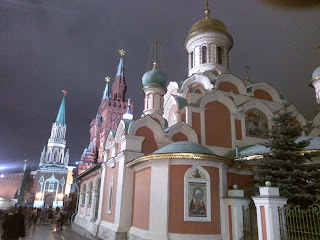 There was no russian products exhibited. 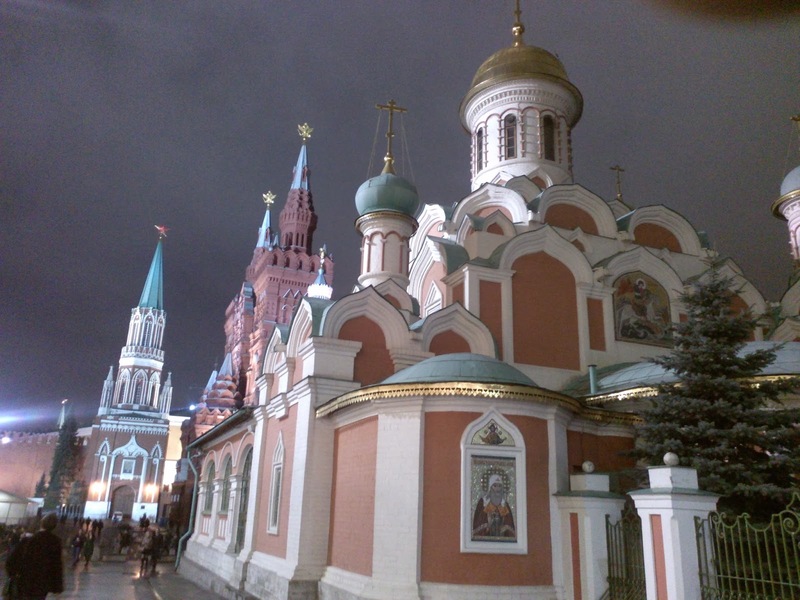 Moscow is beautiful, I've enjoiyed this trip very much. How can you die cut photo prints? We have equipped our Paperfox KB-32 die cutter with a special plate so now you can punch even 9x10cm shapes. We have developed a die cutting tool with a transparent plastic base, so you can position the cutting form to the picture on the sheet. After positioning you can put the cutting plate, the sheet and the die cutting tool together under the die cutter and cut the pictures. So you can cut your pictures to the desired shape with this really useful die cutting device. Let's get more inspiration from the following video and enjoy your work with this brilliant device! We have manufactured similar devices several times, but now we've had some time to make a photo from our creation. Now you can fix even 6x12cm die cutting tool into the Paperfox MP-1 press, but because of the relative small cutting pressure this device can be used with simple die cutting tools. Several customer of us colmpained because they didn't find solution to round corners bigger than 10..20mm radius. Now we have made a solution. With this device you can cut not only corners but for example you can punch "window" into presentaion folders. 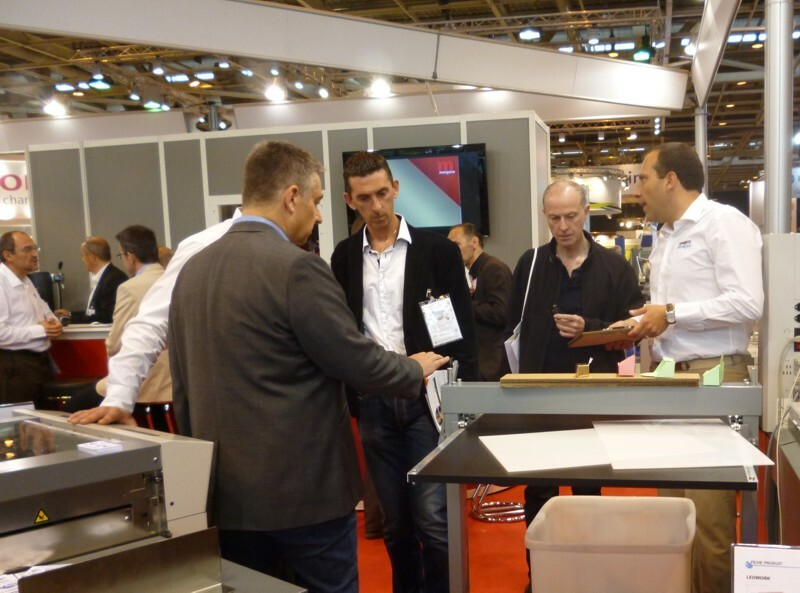 You can put even 60cm wide sheets unter the die cutting tool. We have manufactured a roll cutting machine for rewinding and cutting sensitive transparent foil. The foill is supported under the cuttig knives with rotating rubber rollers to prevent scratches. You can cut paper tubes with 25, 40, 50, 75mm inner diameter with this useful machine. We can manufacture this machine for other diameters as well. You can cut not only paper tubes, but some kind of roll materials too. We equipped the Paperfox AH-1000 rewinder with square cross-section shaft so you can mount more rolls with less effort to this useful device. In order to protect the sensitive materials during rewinding we equipped the device with soft starter and speed controller. The Paperfox R-761 Kisscutting, creasing, perforating machine is best kisscutting, creasing, perforating machine with manual feed. A customer of us neded a bigger feeding table for this machine. If not needed this longer table can be removed with a single movement. For the bigger sheets we had to manufacture a bigger delivery table and higher paper guides as well. The Paperfox RT-1 Tape dispenser is a guite useful device for industrial usage. Some customer of us asked to manufacture similar device for bigger diameter tape rolls. Now with our new RT-2 tape dispenser you cn use up to 170mm diameter rolls. Do you need a special tape dispenser? 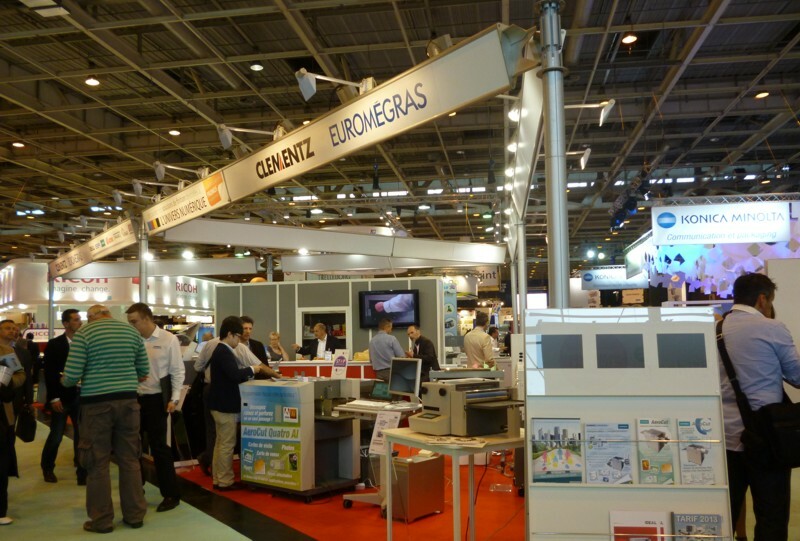 Do not hesitate to contact us, perhps we'll manufacture the tape dispenser of your dreams! How can you boost up the efficiency of your Roll Holder with 100%? You can put two rolls at once on this roll holder. 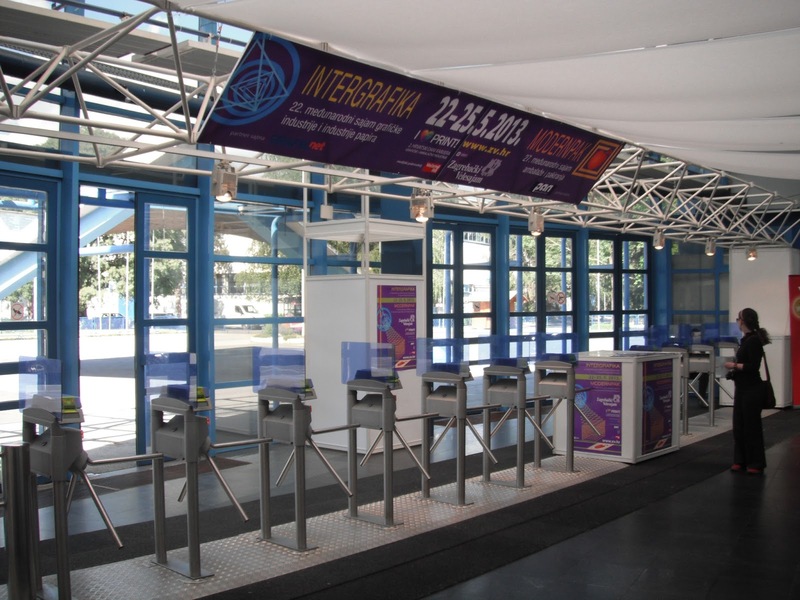 In this way you can save costs and space at once! You can use a roll holder like this with the Paperfox rewinders or with other devices. Do you need a special roll holder? Contact us and we'll construct the Roll Holder of your dreams! 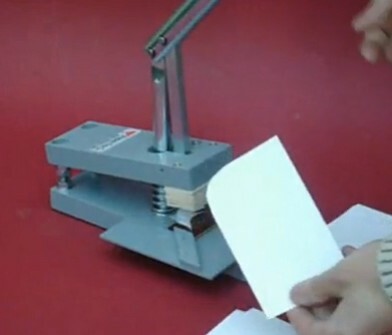 With this simple prototype you can stamp more self dulplicating paper with less effort. Should we develop the footpedal driven or electric version of this device? 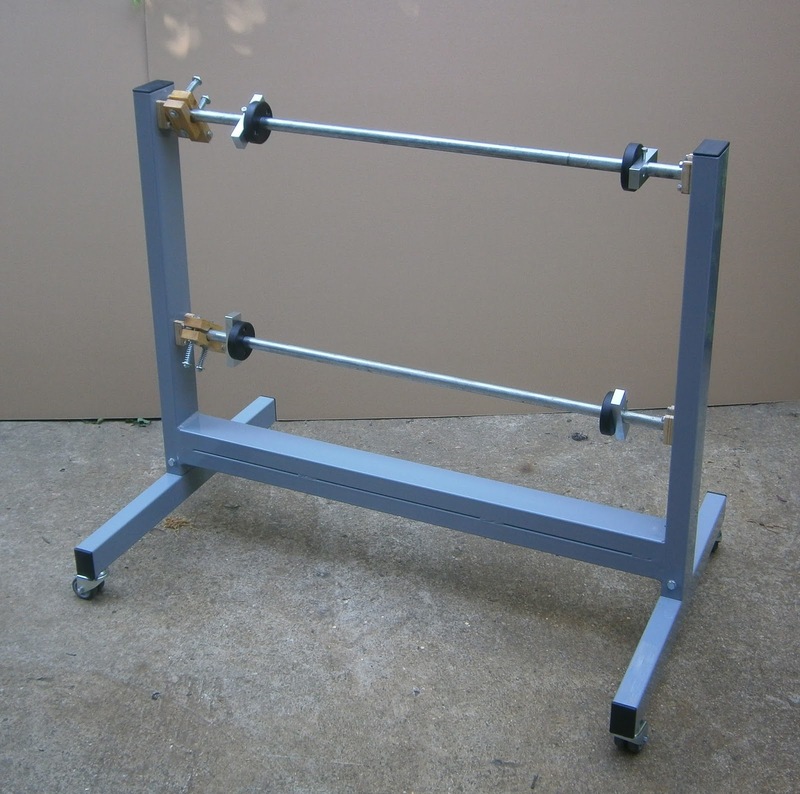 We have manufactured a paper roll holder, which was able to rewind heavy, even 200 kg /1500cm paper rolls. The shaft of the paper roll can be placed easily into the frame of the roll holder and it runs around ball bearings so that it can be turned easily. 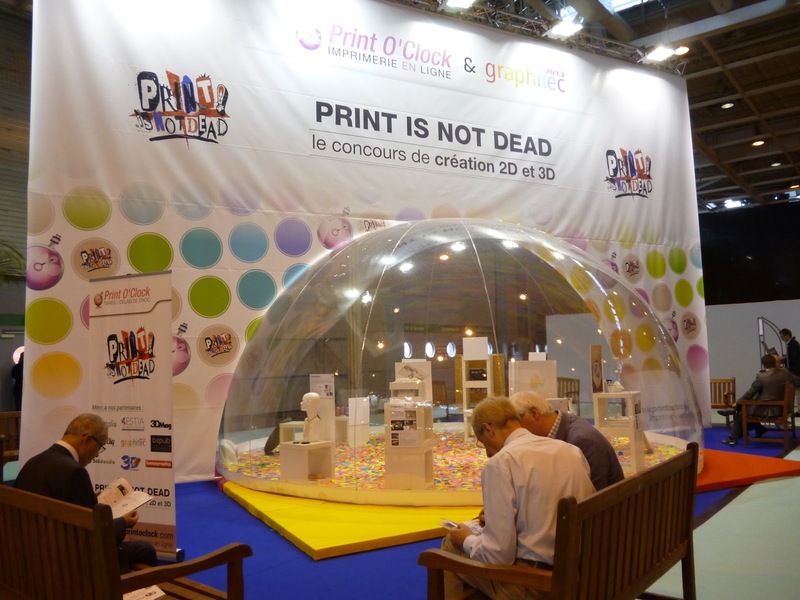 In this way you don't have to rewind the big roll to smaller ones, you can use it directly in yur printer. If you need a roll holder like this, do not hesitate to contact us. 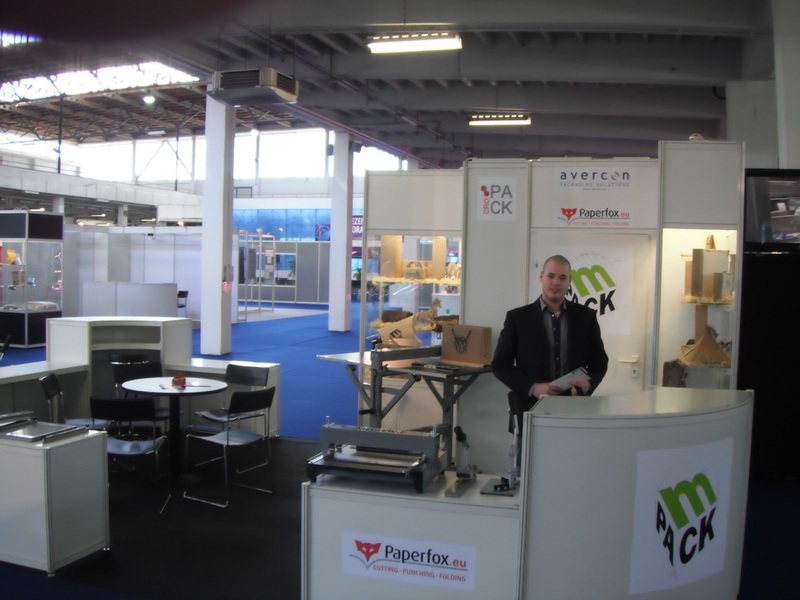 We have equipped our Paperfox MP-1 Punching machine with a special tool and with a special positioning guide. Now you can cut even a SIM carte with this unique machine. 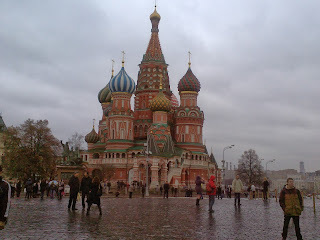 Do you have any task which you can not accomplish? Perhaps we can help you! 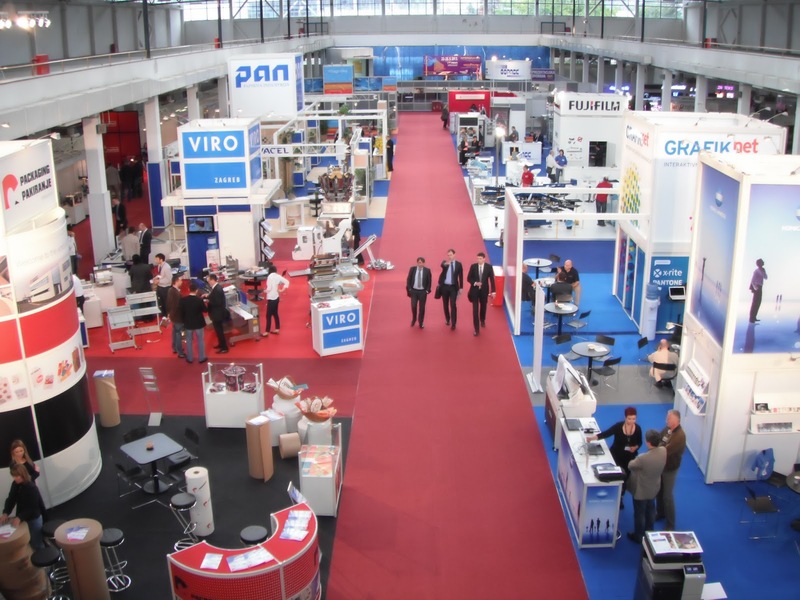 Do you need perforating knives? A customer asked us to manufacture perforating knives in different sizes. We are manufacturing perforating knives for our machines, so we can manufacture them. The standard size of our knives is 43mm outer diameter 6mm thickness and 7mm hole. Now we are going to manufacture some 40mm outer diameter 5mm thickness and 6mm hole. It'd be more economical to manufacture more knives at once. Are you interested in such or similar knives? Back in May, we visited to Zagreb for a good atmosphere, small exhibition where we met a lot of enthusiastic people,who were full of good ideas. 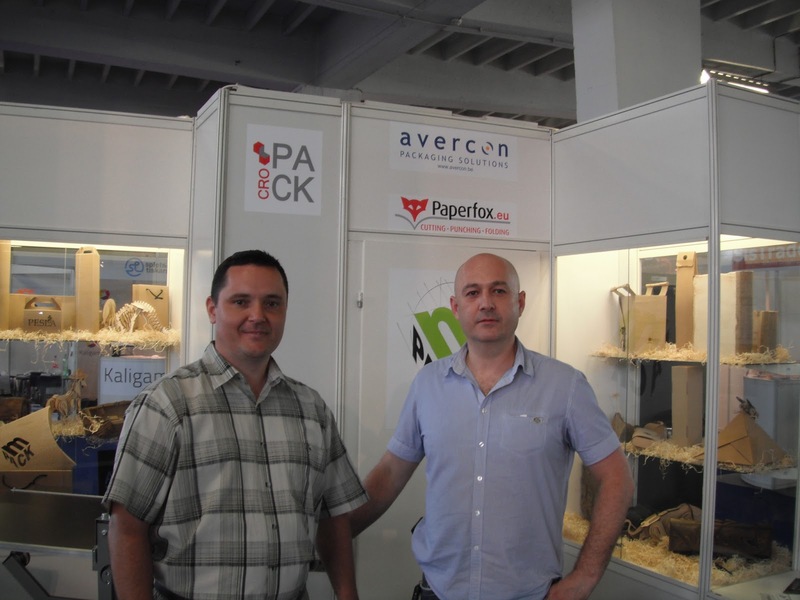 Paperfox machines were exhibited by our local partner for the Croatian visitors..
We hope that Croatia's EU entry will help to develop mutually beneficial coopertion. 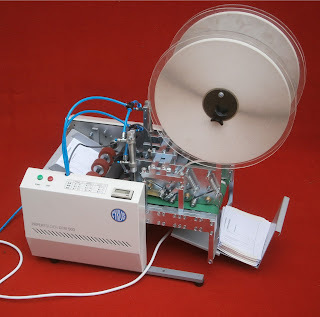 We have made some modification on the Paperfox HH-1 return receipt making machine. 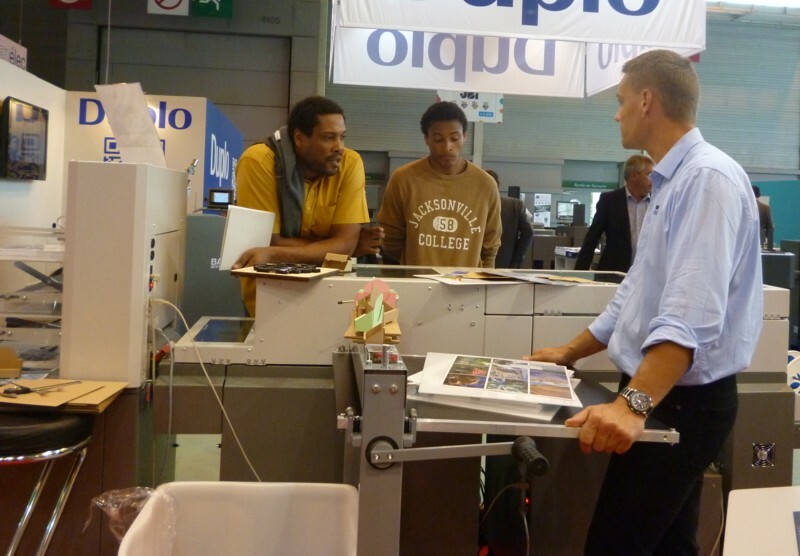 The device is based on the new Cyklos CFM-500 folding machine, hich has a full metal construction. The so called "Finger lift" tape is placed on the sheet by two Paperfox TD-1 Tape applying heads. We have manufactured return receipts with this machine, in booth side of the sheet with a perforation and a double sided adhesive strip. We didn't find much interest about manufacturing return receipts but perhaps you could use this device for other purpose? We have in Fair Printek-2013/Istanbul exhibited our die cutters, paper punches, kisscutting machines. It is very interesteing that our S-3 cornerrounder arouse so much interest, even though in other countries not it is our main product. Some customer of us uses our Paperfox A-1000 or A 1250 rewinder for special purposes. In some application they need a special roll holder so we developed this simple but very useful device. You can use the Paperfox AT-1000 or AT-1250 roll holders with the Paperfox A-1000 or A 1250 rewinder for example to wind different roll materials together or you can use it with a paper trimmer to cut roll materials to sheets. The Paperfox AT-1000 or AT-1250 roll holders can be used for packaging if you want to wrap your products in a roll of paper or foil. 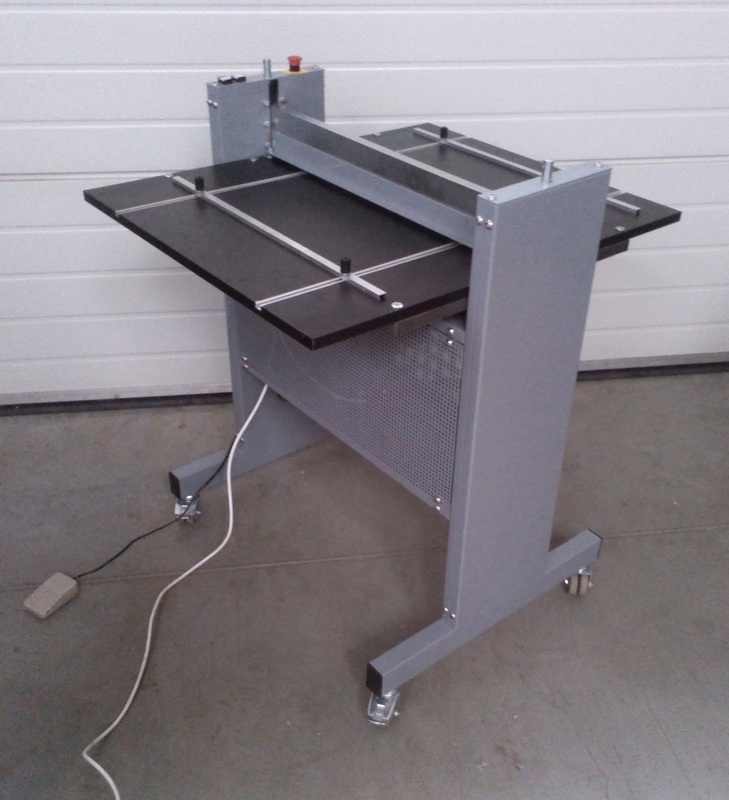 We have improved the our box making machine again, whose latest version is now called DK-5. The DK-5 box making machine can be mounted on edge of a table like its predecessor, but the new revolver head allows quick tool changes. Now the cutting blades are fully enclosed, which makes the usage of this device even safer than before. Sometimes our customers contacting us with a request to make a circular perforating blades for folding machine. We have made some of these parts again. Perhaps it would be worthwhile to manufacture these parts?